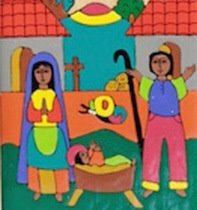 I am privileged once again this year to re-publish our friend Polycaprio's list of the Top 10 Oscar Romero stories of 2012. You can find the original and much more at his Super Martyrio blog. 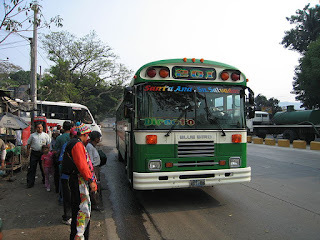 In the greater San Salvador area, the bus system is going to switch from taking fares in cash to the use of pre-paid fare cards. According to La Prensa Grafica, some 33 routes in the Santa Tecla area will make the change to the cards in January. The government states that the remainder of the routes will convert over within the next 10 months. Fare cards will be available at some 300 distribution points throughout the greater San Salvador area. This seems like a positive step forward towards crime reduction on the bus routes. No longer will the buses be carrying fare boxes loaded with any cash. While fare cards will not eliminate robberies of passengers on buses and bus owners will still be threatened with extortion, it is a sensible measure as long as the cards are readily available to all who depend on the buses for their means of transportation. This is the time of year for the coffee harvest in El Salvador. Reuters recently ran a photo-essay of pictures from the Santa Adelaida coffee cooperative in La Libertad department which you can view here. Coffee from this certified organic finca is available online, including here. Christmas Day, 1977 My best wishes for a Merry Christmas and Prosperous New Year for all the readers and friends of Tim's El Salvador Blog. May peace and justice flourish in 2013 in El Salvador and throughout the world! On December 21, while people in the US and elsewhere in the English speaking world were largely making jokes about the "end of the world," in El Salvador festivities were held at various sites of ancient Mayan temples to celebrate the end of one Mayan era and the rebirth and renewal of another. "Baktun" is the Mayan word for the calendar cycle, and on December 21, the 13th Baktun ended and the 14th began. You can see a photogallery from the festivities in El Salvador at this link, and a video news report from La Prensa Grafica at this link. he lives in our hearts Señorita Reina holds up a black and white drawing of a bespectacled man with a red bishop's hat. "Who knows who this is?" "MONSENOR ROMEEEEROOO!!!" cries a chorus of children. "And who is Monseñor Romero?" she asks the crowd at Monday's morning assembly. One by one the braver kids run up to the microphone, excited to be able to talk (or scream) into it for a moment. "...hee.. he... um... they killed him because he told the truth!" "he walked with the poor!" "he was a man who liked to visit the communities!!" Antonio (Tony) Saca made it official that he will be a candidate for president in 2014. Saca was president of El Salvador from 2004 through 2009 from the right wing ARENA party. A president in El Salvador cannot be re-elected to successive terms, and ARENA's candidate in 2009, Rodrigo Avila lost by a wide margin to Mauricio Funes running as the candidate of the FMLN. After ARENA's defeat, Saca broke with that party and has been seen aligned with the new GANA party. In fact GANA's leadership has announced that Saca will be their candidate in 2014. Is he hungry? Is she safe? Will they always feel my love? breaks with the pain of the Salvadoran mother. The truce between the El Salvador's major rival gangs continues to hold. along with the resulting dramatic reduction in the number of homicides in the country. Now the original mediators of the truce as well as other actors are hoping to build on the momentum towards peace that the truce represents. Romero on the album "Martyr's Prayers"
The online news site LaPagina has a photogallery of images from the historic center of San Salvador where vendors set up extra stalls during this time of the year to sell Christmas gifts and decorations. See the whole gallery here. It's quite a contrast to the sterile luxury shopping malls like the Gran Via or the Galerias. The Special Rapporteur of the United Nations Human Rights Council, Ms. Gabriela Knaul, recently delivered comments after spending a week in El Salvador studying its judicial system. The Special Rapporteur is an independent legal expert who reports to the UN Human Rights Council and the UN General Assembly. She was in El Salvador at the invitation of the Salvadoran government.